Detroit Really Is Getting A Giant Robocop Statue. Here's The Model. Well. And here I was thinking the move to get a giant statue of Robocop erected in Detroit would ultimately come to nothing. It has instead come to something. Something wonderful. What you're seeing here is the almost-completed model of the city's sworn protector. 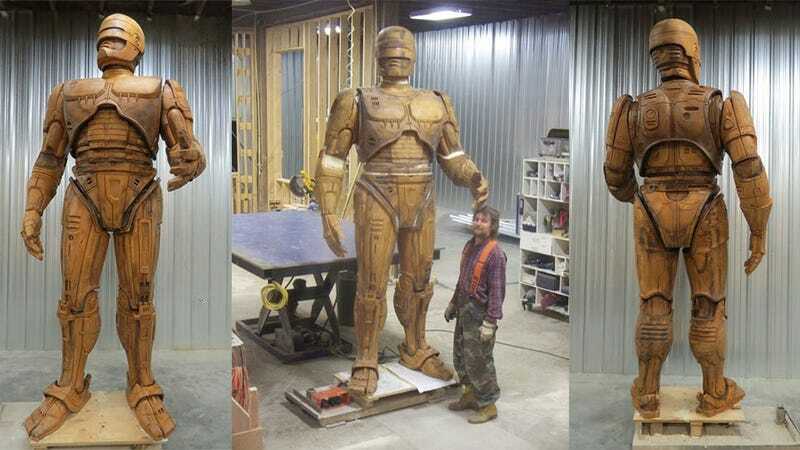 This is the thing that'll be shipped to the sculptors to be made into a cast, and from that cast will emerge a bronze statue of Robocop that will stand ten feet tall.